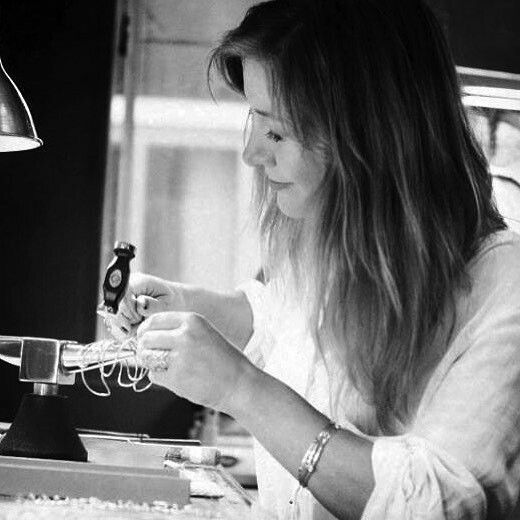 The fabulously talented Amy Nordström, pictured here in her workshop, is one of the many brilliant artisans we’re proud to collaborate with! Amy’s distinct work is inspired by nature and forged by hand. Every piece she makes is bent, cut and hammered out of a vision that literally takes shape in her hands.